What Can We Learn From Jesus’ Final Prayers? What Happened at the Last Supper? Do I Have a Sound Christian Mind? Do Christians Need Hope in Their Lives? 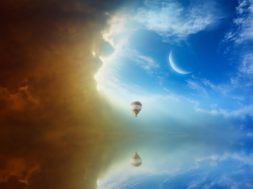 Do I Seek God’s Protection or His Permission? Home Character Do I Have a Sound Christian Mind? Ep.1068: Do I Have a Sound Christian Mind? 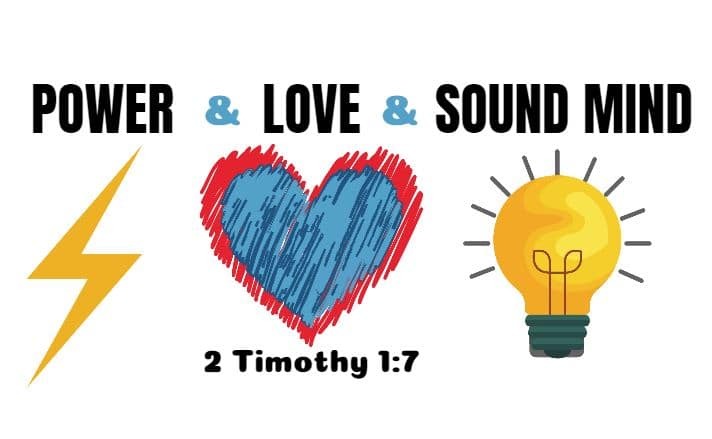 Have you ever thought about what it means to be given "the spirit of power and love and sound mind" as stated in 2 Timothy 1:7? With this spirit of power, shouldn't all enemies of God cower before us as we call them out for what they are? With this spirit of love, shouldn't we be able to bridge any gap and overcome any difference among us? With this spirit of a sound mind, which means sound judgment or discipline, shouldn't we be able to see through the traps of the adversary and the cunning selfishness of our own minds and always think, speak and act in exact accordance with God’s will? If it were only that easy! The fact is, we need to develop and engage these things as tools in our everyday fight gainst all things godless. Instead of imagining ourselves as superhero avengers who have the power to call out evil, let us instead see ourselves as blessed to be learning how to use what God has given! To understand what a sound Christian mind actually is, we first need to know what it replaces. When the Apostle Paul wrote to Timothy about this, he told him that "God has not given us the spirit of cowardice but instead he has given us the spirit of power, love and a sound mind." Was Paul saying Timothy was a coward? On the contrary, he was preparing Timothy for the incredible hardships that were coming. Roman persecution of Christianity was increasing and the desolation of Jerusalem was only a few years away. Paul himself was currently imprisoned and would soon be executed. He was encouraging his spiritual son, Timothy, to step up in the face of all these deep testing experiences and stand firm for the truth of the Gospel. The message was to not cower as time presented greater challenges but to rely firmly upon God’s power and influence to carry him through. It is fascinating to observe the respect given to the “spirit of cowardice.” Paul understood the death grip fear could hold upon one who is taxed beyond their physical and emotional strength. He offered a solution for overcoming this overwhelming tide, and it came in three phases. The first phase was to adopt and accept what Paul called “the spirit of power.” This power was not attainable by personal exercise, taking supplements or by force of human will and discipline. Rather, this power was a result of the miraculous indwelling of God’s own Spirit – His power and influence - within the personal life of any called-out Christian. Paul’s message was simple...use this power as your foundation, and you can now begin the process of submerging and diffusing cowardice. Check out our April 8, 2019 podcast, “Do I Have a Sound Christian Mind?” for more. Understanding and applying this “spirit of power” is just the beginning. We connect the necessary dots to get to the victorious point of understanding and attaining the spirit of a sound Christian mind. Applying this disciplined Christian mind will absolutely change everything! If you do not have a password, please subscribe to our FREE Premium Content for the Full Edition version of CQ Rewind. The welcome message will contain your password, and a reminder will be sent each week when the CQ Rewind is available online for you to read, print, or download. previous VIDEO: Moments that Matter - Do I Have a Sound Christian Mind? next VIDEO: Bonus - What did Jesus' Death and Resurrection Do? 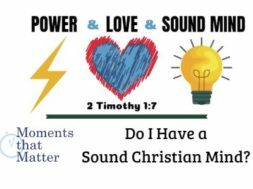 VIDEO: Moments that Matter – Do I Have a Sound Christian Mind? 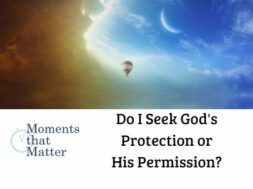 VIDEO: Moments that Matter – Do I Seek God’s Protection or His Permission? A week’s worth of inspiration in one email! Below are the most popular searches. Click on any topic to learn more!